Aside from making recommendations that will help prevent aging, like using sunscreen daily, eating a clean diet, living a healthy lifestyle, not smoking, limiting alcohol and sugar consumption, exercising, and keeping inflammation at bay, we know that with the right aesthetic tools and treatments, you can thwart further wrinkles and sagging. You can attain the promise of a more youthful appearance from a variety of options. This blog will help you become familiar with what’s out there, its affordability and results. According to the American Academy of Dermatology, a surgical lift, such as a face lift will give you the most dramatic skin tightening results (for the most cost), but there are very effective, less costly non-surgical options, from instant lift products, needling, ultrasound, radiofrequency, and laser. Injections and fillers are popular options for near immediate results for a younger looking appearance but do little to tighten the skin. What option you choose largely depends on how much you want to spend, and how quickly you want to see results. Now or later! Some treatments offer nearly immediate results like skin-firming creams and lotions. You may see some immediate results although slight. Some products act more like a moisturizer that will plump your skin, making fine lines and wrinkles less notable. However, if the product contains a retinoid, such as retinol, you may see a small change due to the collagen production activity in the retinol. Products like these are great to have as part of your home care regimen. We love Revision Skincare’s age defying line of tightening serums and creams. Revox 7 serum, used twice a day, helps to soften and reduce the appearance of seven types of expression lines. Nectifirm and Nectifirm Advanced work to firm the neck, specifically. Great results for smoother neck skin with less sag and crepeyness. DEJ Face cream brightens and improves the overall appearance of the skin and reduces the appearance of fine lines and wrinkles. Firming Night Treatment provides intense moisturization for mature skin while you sleep to rehydrate, brighten and reduce the appearance of fine lines and winkles. Collagen Induction Therapy, also called Microneedling, creates micro-perforations through the surface of the skin tissue to create minor skin injury for penetration of peptide serums. This triggers the skin’s natural healing process to repair the injury. This response stimulates collagen and elastin production that thickens the skin and reduces the appearance of wrinkles. This procedure works on skin of color, for smoker’s lines around the lips, lifts around the eyes, and reduces appearance of acne scarring. 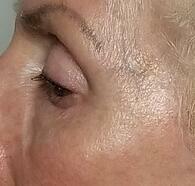 META Therapy (Medical Esthetical Tissue Activation) is a great treatment for fine lines and lifting. Microneedling + Radio Frequency. Evolving technologies combine microneedling with radio frequency. To help remodel tissue the depth of the needle’s penetration can target specific points that trigger the body’s natural healing process and delivers heat to the deeper layers of the skin to build new collagen. Studies show promising results for the neck, wrinkles and acne scarring. These procedures offer you long term tightening and lifting while keeping your skin intact. Each works to send heat into the skin to tighten and shrink tissue that’s lost its tone and elasticity, and boost collagen. Since collagen is one of the building blocks of healthy, youthful skin, the more collagen that is produced, the tighter the skin becomes. The younger you are, the more collagen there is to work with and the better the outcome. The following skin tightening treatments stimulate collagen production to some degree. Results can take as much as 3 to 6 months to see their tightening effect. The number of treatments you will need varies based on the device/technology used, the area and condition being treated, energy source and level, your age and other individual characteristics. Ultrasound is focused energy that transmits sound waves through the skin’s surface sending heat to specific depths and locations to cause damage to the collagen layers triggering the body to produce more collagen and help skin become firmer. Ultrasound devices can treat the brow, chin, neck and chest. Multiple treatments (3 or more) are usually recommended. Results can be seen within 2 to 3 months and can last up to a year with good home care. Ultherapy® is a widely known brand. Radio Frequency (RF). Radio frequency tightens the skin from the inside out. RF sends heat to different layers of the skin in a broad diffuse way causing it to contract. The energy it delivers helps to stimulate collagen and elastin production which smoothes and lifts the skin’s surface. 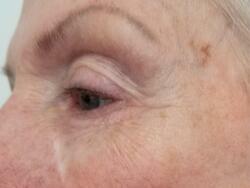 Skin tightening effects around the brow, chin, neck and chest are gradual and increase with each treatment. Significant results develop with multiple sessions over a period of months as the body grows new collagen. The tightening effects can be maintained with booster treatments twice per year, and more often for aged skin. RF technology is used by Thermi, Exilis, Profound RF, and Thermage and ReFirme®. Combination RF and Infrared light device bulk heats the dermis to improve skin laxity, sagginess and texture. By using both infrared light and Bi-Polar radio frequency (RF) the tissues are gradually and gently heated to tighten the elastin collagen fibers. This procedure stimulates long term collagen production as well as tightening the existing collagen fibers. Fine lines and superficial wrinkles around the forehead, cheeks, brow, chin, neck and chest appear smoothed out and softened within minutes of the treatment. A series of treatments are recommended for optimal results as tightening continues to improve over the weeks and months. ReFirme® is our go-to choice for firming and tightening. 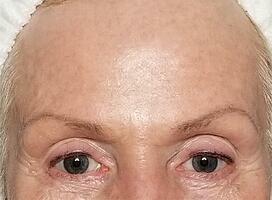 Laser Skin Tightening. Reduces fine lines, wrinkles, and skin laxity. An infrared light (a laser) tightens the skin by heating the collagen beneath the skin’s surface. This activates a regeneration of natural collagen, promoting a smoother, softer skin and more youthful appearance. Treated areas include around the eyes, forehead, cheeks, brow, chin, neck and chest. 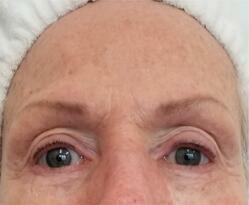 Results are noticeable immediately after the treatment with little to no down time, and very few side effects. Effects continue to improve over time. Results are visible up to two years. Laser treatments are safe for people of all skin tones and in good health. Popular laser skin tightening treatments use Titan® and Polaris® systems. 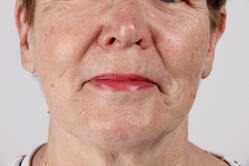 Newest to the laser skin tightening arena is the use of PICO technology. PICO Genesis®, a non-thermal laser, does a great job at remodeling the lower layers of the skin while firming surface wrinkling. Studies show skin tightening and toning with the PICO technology are visibly improved and continue to improve with every additional treatment. 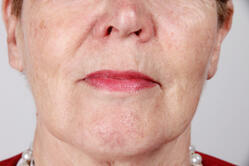 Dermal fillers temporarily replace lost collagen a little deeper in the skin. As a result, the extra volume pulls up the skin below for a smoother, tighter appearance. Some of the issues dermal fillers address include smoothing out lines around nose and mouth (smile lines), restoring volume to sunken cheeks or temples, diminishing vertical lip lines, plump and enhance the lips and improve facial contour. This may last up to 6 to 8 months. Lifting has its limits, and easy to overdo. Some of the most popular fillers include Juvederm, Restalyne, Scuptra, Radiesse, and Perlane. Botox is made from a neurotoxin, Botulinum toxin. This treatment manages wrinkles caused by chronic movement of underlying muscles. It works by preventing signals from the nerve cells from reaching muscles, therefore paralyzing them. Because the injected muscles can no longer contract, the wrinkles relax and soften. Botox can also help prevent new wrinkles from forming. Some injections are recommended every 90 to 120 days. 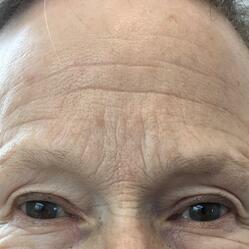 The most commonly treated areas are Glabellar lines (a.k.a. 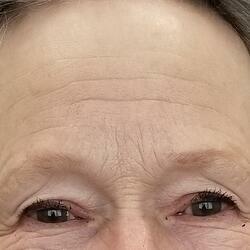 “elevens” or frown lines), crow’s feet, forehead creases, and corners of the mouth. Botox Cosmetic®, Dysport®, and Xeomin® are brand name injectables. We can’t say enough about the importance of wrinkle prevention as we age. With a regular day-to-day regimen that includes diet, exercise, sunscreen, and home care, you may be able to put off the need for injections, fillers, and devices a little bit longer. If your goals are more long term and you’re willing to observe the tightening results unfold over several months once collagen and elastin production are stimulated, you might want to explore one or more of the options discussed above. We work with each individual patient to help them decide what works best with their specific goals in mind. We would be happy to guide you on the best route to see significant changes in your skin’s tone, firmness and elasticity. A parting thought; Youthfulness cannot be rushed. Long-lasting results take place over time!